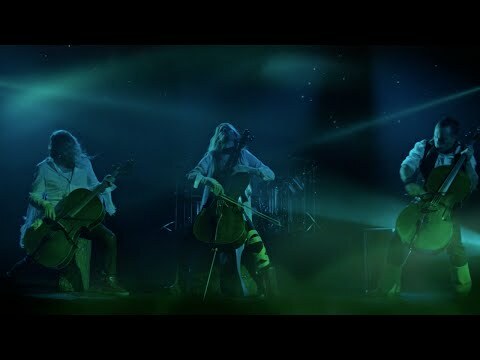 Four cellists, Eicca Toppinen, Paavo Lötjönen, Max Lilja, and Antero Manninen formed Apocalyptica at Sibelius Academy. 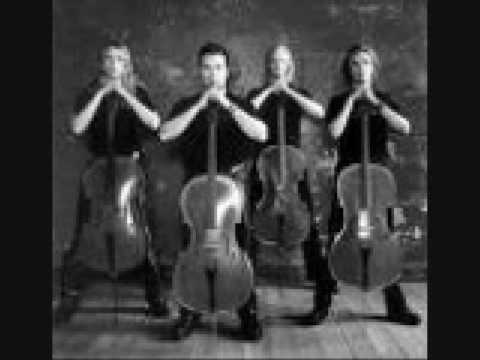 Plays Metallica by Four Cellos is the debut album by Finnish metal band, released in 1996. 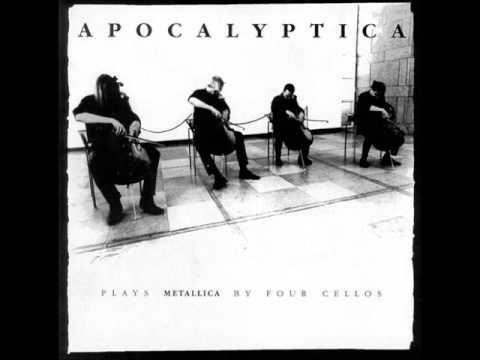 It features eight instrumental Metallica covers arranged and played on cellos. The band was invited to record this album by a label employee after a 1995 show in which they performed some of the songs. The members were initially unsure and thought nobody would listen to such a record, but the employee insisted and they recorded it. On 22 Jul 2016, a remastered version of the album was released with new bonus tracks. 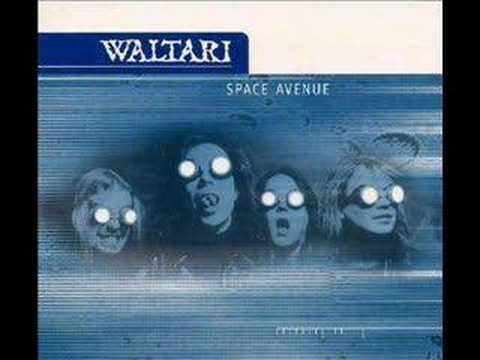 The band was featured on two songs on the Waltari album Space Avenue. Apocalyptica released their second studio album, Inquisition Symphony, produced by Hiili Hiilesmaa. 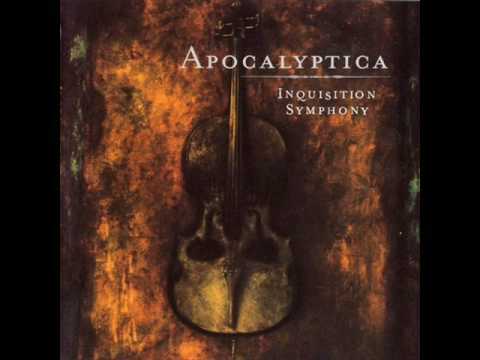 Inquisition Symphony contained covers of Metallica as well as Faith No More, Sepultura, and Pantera. The album included three original songs by Eicca Toppinen. Antero Manninen left the group in 1999 and was replaced by Perttu Kivilaakso. Perttu had previously performed with the band in 1995. 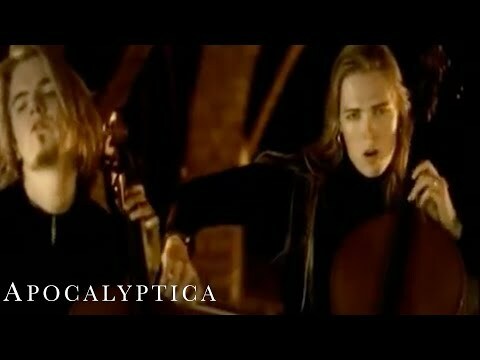 Apocalyptica released their third studio album, Cult, in 2000. It featured 10 original songs and 3 covers. 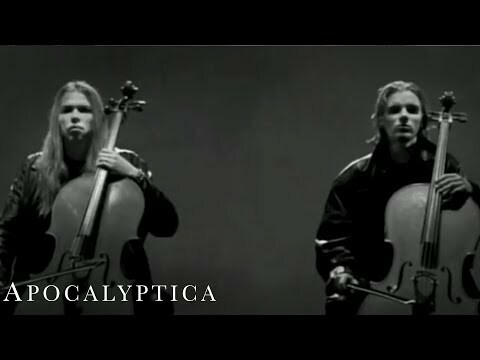 The first Apocalyptica track to include vocals, “Path Vol. 2,” was released shortly after Cult. Max Lilja left the group in 2002 and joined Hevein. Reflections are the fourth studio album of Finnish metal band, released in 2003 with a special-edition entitled Reflections Revised released in the later part of 2003 containing a DVD as well as the original album with five bonus tracks. The original slipcase cover is a picture of a burning cello, which is also seen in the inside tray card of all versions. The cover is similar to the cover of the film The Red Violin. Dave Lombardo from Slayer played drums on five songs from Reflections. Session drummer, Sami Kuoppamäki, covered the rest. When Lombardo declined the following tour, Apocalyptica hired Mikko Sirén, who would stay with the band for future tours as well as the recording of the next album. 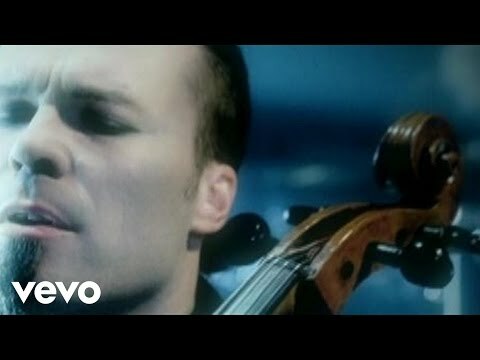 “Bittersweet” is a single by the cello rock band Apocalyptica in collaboration with Ville Valo (of HIM) and Lauri Ylönen (of The Rasmus) from album Apocalyptica (2005). 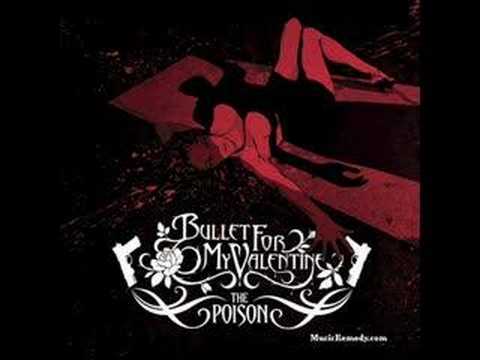 The music is by Apocalyptica, the lyrics by Ville Valo and the vocals by Ville Valo and Lauri Ylönen. The song is written for four cellos (quartet) and voice, but there are versions for just the cello quartet. The lyrics are about a love triangle, in which a woman loves a man, who does not love her back, and another man which is in love with the woman, while she does not love him back. 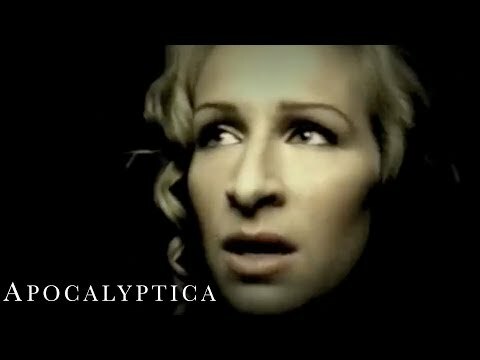 “Bittersweet” was released on 29 November 2004. The song peaked at number 1 on Finnish Singles Chart. It also peaked at number 6 in Germany, number 8 in Switzerland, number 11 In Austria, and number 53 in Sweden. 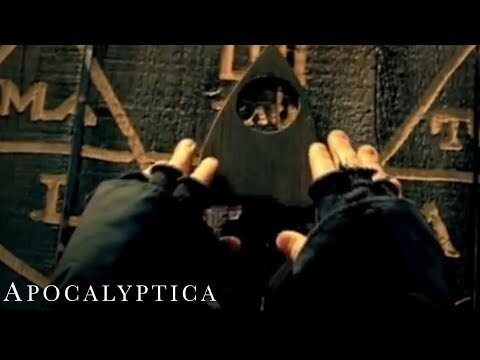 Apocalyptica was on the track “Intro” from Bullet for My Valentine’s album The Poison in 2005. The group performed with Marta Jandová and represented Baden-Württemberg in the Bundesvision Song Contest 2005 with the song “Wie Weit”, placing 5th with 77 points. Mikko Sirén became an official band member in December of 2005 having played around 200 shows with the band. 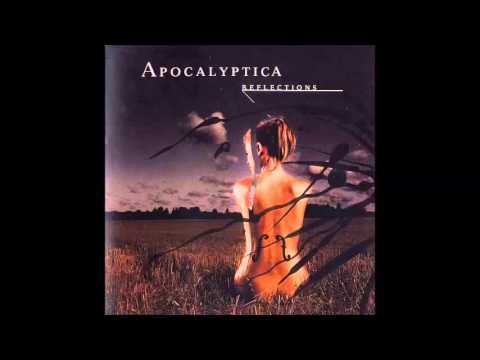 Worlds Collide is the sixth studio album from Finnish metal band Apocalyptica, released on 14 September 2007. To the surprise of many, the album includes a remake of the German version of David Bowie’s song “Heroes”. 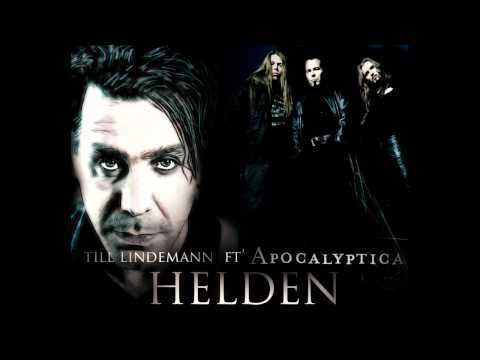 Till Lindemann of Rammstein, for whom they opened on the Reise, Reise tour, was the guest vocalist on the track “Helden”. 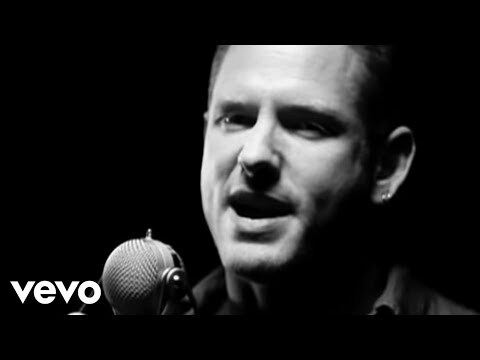 The first single “I’m Not Jesus” featuring Corey Taylor of Slipknot and Stone Sour from the “Worlds Collide” album cracked the top 10 of both the Active Rock and Alternative rock charts. It includes special guests Till Lindemann, Corey Taylor, Adam Gontier, Dave Lombardo, Tomoyasu Hotei, and Cristina Scabbia. Worlds Collide was released on April 15, 2008, in the United States. For the US release, a new recording of “I Don’t Care” and a new mix of “I’m Not Jesus” replaced the original versions. 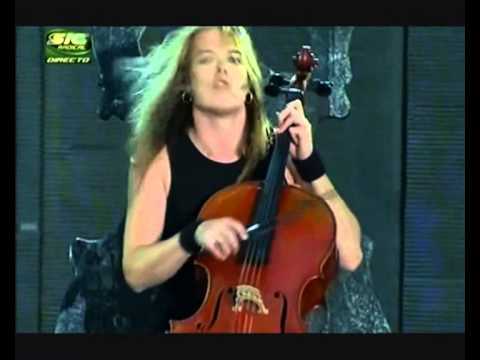 In June 2008, during the Rock in Rio concert in Lisbon, Apocalyptica joined the Greenpeace “energy [r]evolution campaign” and played the Beethoven 5th symphony from the stage. The band also appeared on the Last Call with Carson Daly on October 31, 2008. Here they made their American television debut with a performance of “I Don’t Care” with Toryn Green. 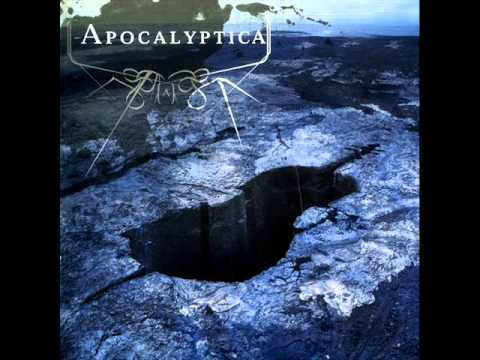 In November 2008, Apocalyptica featuring Adam Gontier of Three Days Grace hit first at the BDS and Mediabase Active Rock radio charts with the single “I Don’t Care”. 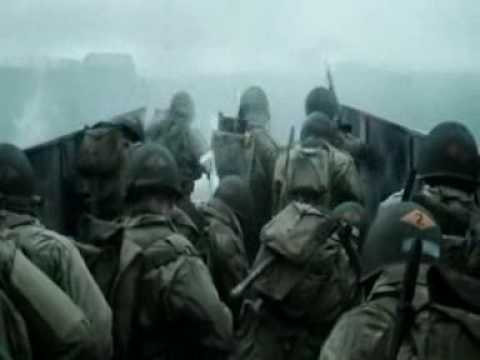 Later that month, the band ranked 3rd on Billboard’s Hot Modern Rock Track chart and 2nd on Billboard’s Hot Mainstream Rock Tracks chart just after AC/DC and just ahead of Metallica, an ironic twist since the band’s origins lie in performing Metallica covers. 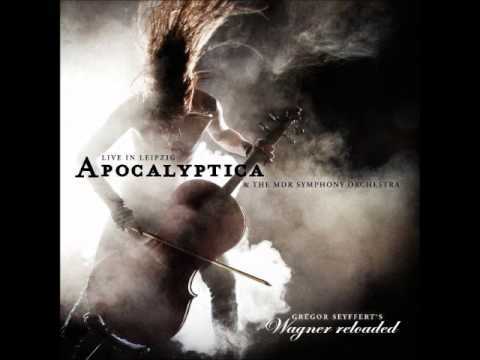 The seventh Apocalyptica studio album entitled 7th Symphony, produced by Joe Barresi and Howard Benson was released on August 2010, in Europe and in the U.S. The album features eight instrumentals plus four tracks with guest vocals. The first single, “End of Me”, features Gavin Rossdale, vocalist from the British alternative rock band Bush, who had previously collaborated with the band. Slayer drummer Dave Lombardo played on “2010.” “Bring Them to Light” features Joseph Duplantier, singer, and guitarist from the French death metal band Gojira. “Broken Pieces” is a collaboration with Flyleaf singer Lacey Mosley. 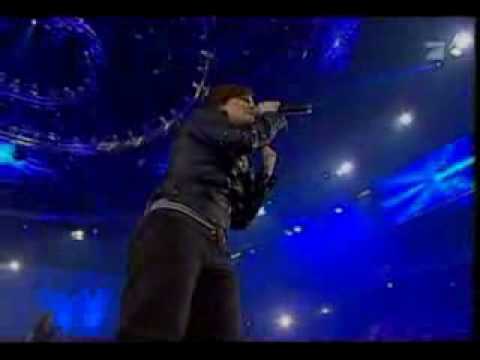 “Not Strong Enough” was performed by Brent Smith, vocalist from (Shinedown). “Not Strong Enough” was re-recorded with Doug Robb of Hoobastank before being released to US radio on January 18, 2011, due to distribution rights. 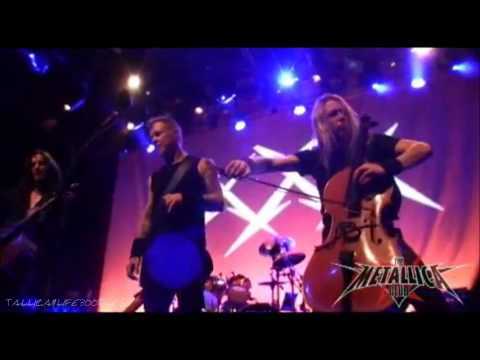 Apocalyptica performed live with Metallica on three songs, “No Leaf Clover”, “One” and “Seek & Destroy” in celebration of Metallica’s 30th Anniversary on December 5, 2011. 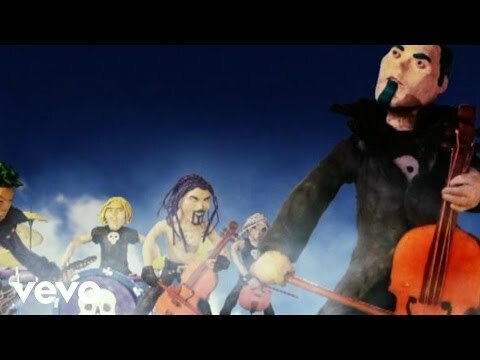 The band released an exclusive pledgers-only song “Solo Tu” featuring Erik Canales of Allison via fan-funding website Pledgemusic, as part of their Apocalyptica photo book project on October 28, 2011. 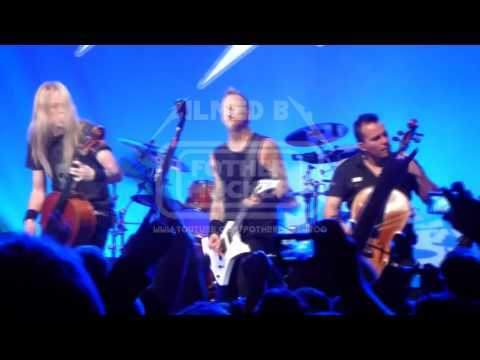 Apocalyptica took a year off from touring and recording after concluding the 7th Symphony world tour in Beijing September 2012. During the break the band worked on a crossover musical and theatrical project titled Wagner Reloaded, combining Wagner’s music with the sound of Apocalyptica, to celebrate German composer Richard Wagner’s 200th birthday. There were two live performances in Wagner’s birth town Leipzig, Germany on July 5 and 6, 2013. Eicca Toppinen arranged and composed the music for the production. 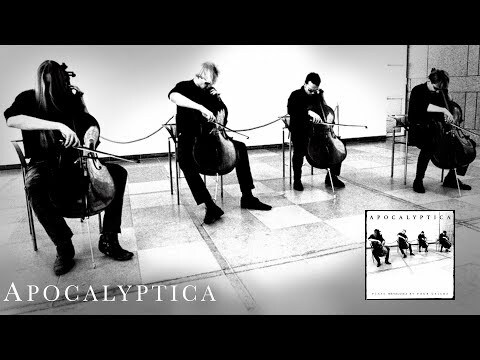 Apocalyptica released “Psalm” on May 10, 2013. It was performed by Perttu Kivilaakso on their most recent tour. The band also announced a tour with Finnish Avanti! Chamber Orchestra, which premiered in March 2014. The set will consist solely of instrumentally performed Apocalyptica songs, specially arranged for the band and the 25-piece orchestra. The band released an album titled Wagner Reloaded-Live in Leipzig, in November 2013. Their eighth studio album, titled Shadowmaker, with Franky Perez singing on all vocal tracks, was released through Better Noise imprint of Eleven Seven Music Group on April 17, 2015. Regarding the possibility of having Perez as an official member, Eicca said “it’s too early to think about it but nothing is decided! Now we got the record done and then we will have touring more or less for 2 years and at the end of that time or sometime during those 2 years we will know. But it wouldn’t be an impossible option to have Franky. 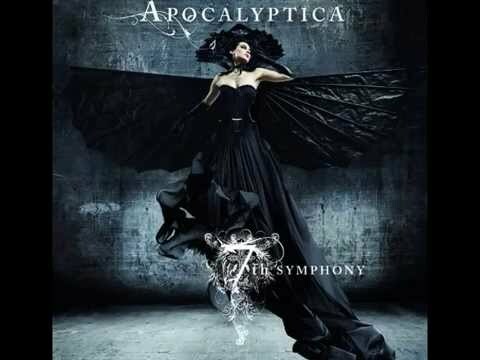 They also released a collaborative single with Vamps titled “Sin in Justice” on November 20.1“Apocalyptica”. 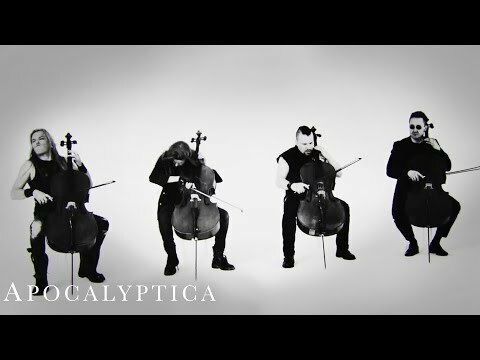 En.Wikipedia.Org, 2018, https://en.wikipedia.org/wiki/Apocalyptica. Accessed 3 July 2018. 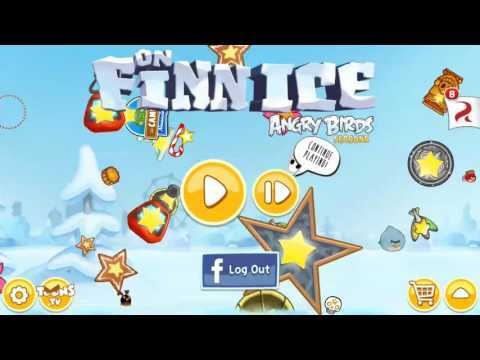 Band made the music for the episode “On Finn Ice” of Rovio Entertainment’s video game Angry Birds Seasons.